Enjoy the finest auto racing in New York at any of these great auto racing venues in the state. 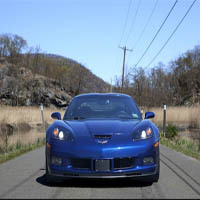 Find auto race tracks in New York quickly and easily, with the help of our comprehensive New York sports guide. Enjoy NASCAR Racing at its Finest! 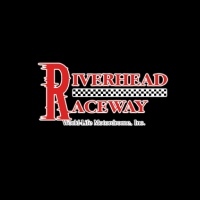 One of the oldest stock car race tracks in the country, Riverhead Raceway is a 1-4-mile oval that includes a Figure 8 Course. It is the only NASCAR stock car track in the entire NY metropolitan area. 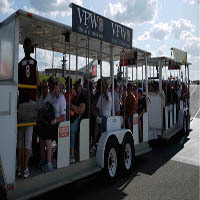 The raceway is also the setting for all types of special events and shows like the Demolition Derby, Enduros, and the NASCAR Whelen Modified Tour. The venue is conveniently located, only one mile east of the last exit on the Long Island Expressway. Plus, it's only minutes from the Hampton resort area and Long Island's wine country. If you're looking for thrill-a-minute New York auto racing, look no further! If you want to name sport and adventure in one word, then you have to call it auto racing. It gets so much better when it is organized by a great car club. This amazing car club can be Classic Car Club Manhattan. 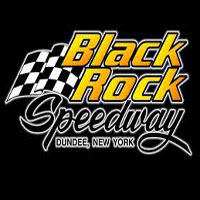 It is one of the greatest options for auto racing in New York. This is a great club with lots of facilities. The most interesting one is the race they organize. Auto racing is the best sport for adventurous people. For auto racing lovers there are several options available in New York. One of them is Michigan International Speedway which is one of the best choices for auto racing in NY. Racing at Michigan International Speedway is nothing less than a fun & adventurous blast. The road course is great for racing and the setup and other facilities are awesome. Auto racing is an adventure itself. There are several options for auto racing in New York. One of them is Monticello Motor Club. 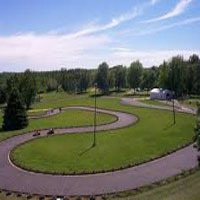 This is a road course that is set on 175 wooded acres of undulating terrain. Racing here is interesting to every driver. The roads and turns are so much challenging that it will surely excite drivers of all levels. Safety is a great issue in Monticello Motor Club. They are very conscious about safety. Racing is such an adventurous sport. This sport gets better when it takes place in a good racing track. This good racing track can be Midwest Raceway. 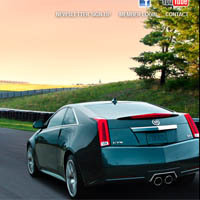 It is a great option for auto racing in New York. This amazing race track is quite long and wide. The place is well maintained and nicely clean. Racing can never be dull here. 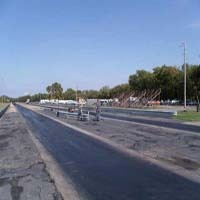 This 1/8 mile drag strip is a real excitement for auto racers. Auto racing is a passion for real race lovers. It is an amazing play that combines sport with adventure. For all the auto racing lovers there is a great option for auto racing in New York. That is Skyline Raceway. This raceway is an absolute pleasure for every level of driver. This is a 3/8 mile dirt track. 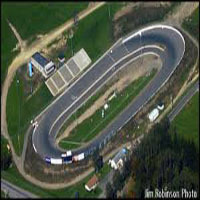 Racing takes place on every Saturday night from April to September in this raceway. Auto racing is an adventure sport. There are some good choices available for auto racing in New York. One of them is Watkins Glen International. This wonderful raceway is situated in a gorgeously beautiful location which is well-known for its ever-changing landscape patterns. This old race track has so much history. The roads are good enough to please any kind of racer. The race track is well maintained and well organized. Auto racing in New York is very popular. And people go crazy when it takes place in a great race track. Lime Rock Park is that kind of race track. It can be called a race heaven on earth. Lime Rock Park is an amazing track surrounded by wonderful green mountains. Who thought admirable scenery and exciting racing can match so nicely? This great race track contains everything that can be needed to please a racer. If you love auto racing, then you have to love Chemung Speedrome. It can be categorized as a great option for auto racing in New York. Chemung Speedrome is a small race track. It is 3/8 mile race track which is oval in shape. It is located on over 38 acres. It provides so much facilities which include all new TV quality Musco lighting, a 3000 seat main grandstand etc. Racing is such a great sport. The sport gets greater if it is held in a good racing track. Black Rock Speedway can definitely be this good racing track. It is a great option for auto racing in New York. This race track is a long and wide one. The place is well maintained and well organized. Racing is much more enjoyable here. This 4/10 mile, clay, semi-banked oval track is a real excitement for so many people. For adventurous people auto racing is a great sport. There are several options available in New York for auto racing lovers. 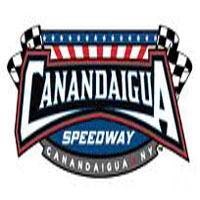 One of them is Canandaigua Speedway which is one of the best choices for auto racing in New York. Canandaigua Speedway is a great race track. It is a 1/2 mile dirt oval. It is one of the most revered ovals on the entire Northeastern circuit. This is a must visit for race lovers.